Sat., May 19, 2018, 12:58 p.m.
BRATISLAVA, Slovakia – Chicago Blackhawks veteran forward Marian Hossa says he’s retiring because of health issues. 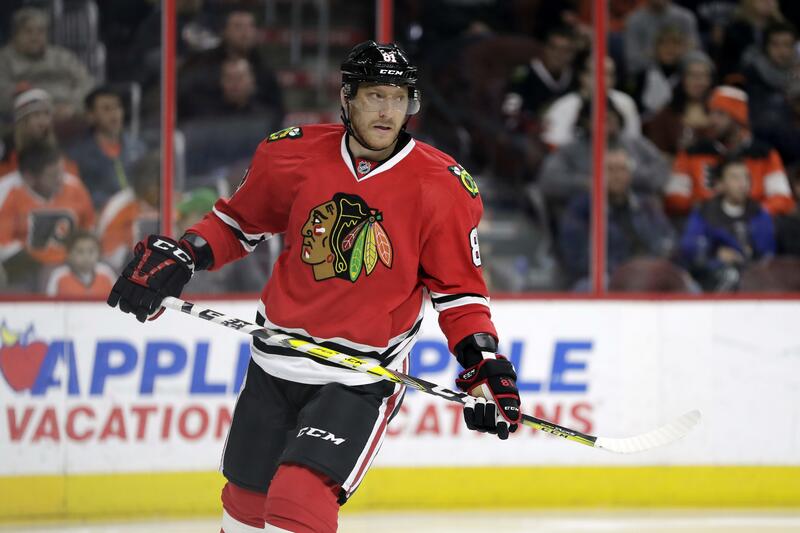 In an interview with the Slovak newspaper Novy Cas, Hossa says he’s done playing hockey. The 39-year-old missed the entire season due to a progressive skin disorder and side effects of medication to treat it. He won the Stanley Cup with the Blackhawks in 2010, 2013 and 2015. He says “I have a contract with Chicago for the next three years, but I have to watch my health” and that makes a comeback not possible. In his 1,309 NHL games, Hossa 1,134 points for 525 goals and 609 assists. Hossa was selected at No. 12 by the Ottawa Senators in the 1999 NHL Draft. He played for the Blackhawks, Senators, Atlanta, Pittsburgh and Detroit. His last game for the Blackhawks was a 4-1 loss to the Nashville Predators on April 20, 2017, in Game 4 of the Western Conference first-round series. Published: May 19, 2018, 12:58 p.m.